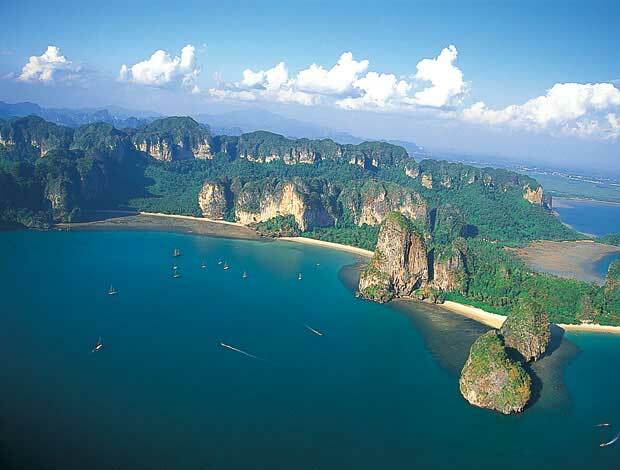 RAYAVADEE’S NEW HONEYMOON PACKAGES include a romantic getaway-of-a-lifetime experience that features three or seven nights at the Krabi resort’s Deluxe Pavilion, surrounded by tropical gardens. The package also includes a private island excursion aboard the resort’s speedboat, a choice of massage treatment at The Rayavadee Spa, a BBQ dinner at The Grotto and more. You can find out more about the resort’s three-night and seven-night honeymoon packages by going to Rayavadee’s website: www.rayavadee.com. For reservations, call 66-75-620-740-3 or 66-2-301-1850 or email reservation@rayavadee.com. Be sure to quote ENEWS RAYA. THE ROYAL BARGE PROCESSION on the Chao Phraya – the River of Kings – is an ancient tradition revived by King Bhumibol Adulyadej in 1959, and the last of its kind in the world. One of the grandest spectacles in all of Thailand and has been held only 16 times during the king’s reign. The most recent Royal Barge Procession was held in 2006 for the diamond jubilee celebrations to honor the 60th anniversary of King Bhumibol’s accession to the throne. The ceremony, which will mark the end of Buddhist Lent and celebrate his upcoming 85th birthday, will take place on Nov. 9 from 3:00 p.m. until 5:30 p.m. Eight small rehearsals have been ongoing throughout September and October, and two grand dress rehearsals will take place on November 2 and November 6. The procession will start from Rama VIII Bridge (Vasukri Pier) and go down the Chao Phraya River to Wat Arun Ratchawararam, also known as the Temple of Dawn. 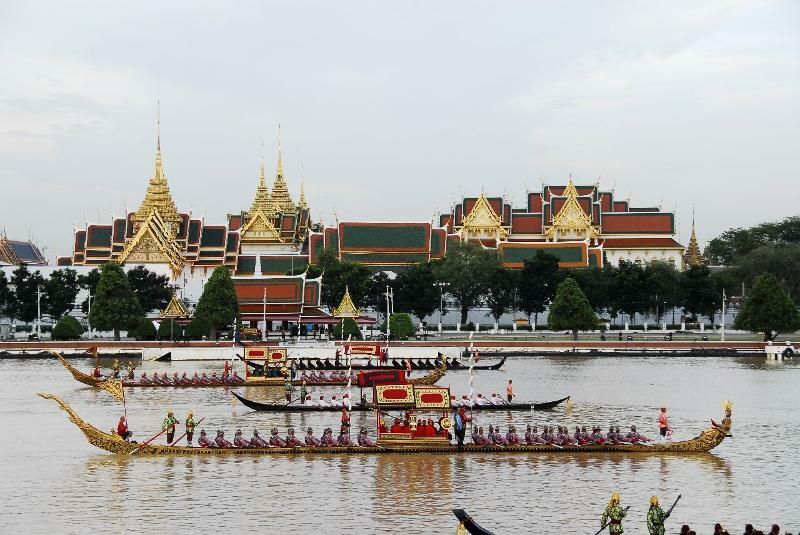 A fleet of 52 traditional-style barges and a total of 2,200 oarsmen from various units within the Royal Thai Navy will participate in what will become a unique and memorable experience for all spectators in attendance. For more information, visit www.tourismthailand.org/us. THAT’S RIGHT – $1,100 A KILO. It’s called Black Ivory Coffee – the latest offering from Anantara Golden Triangle resort in northern Thailand, where it’s become quite a sensation. Anantara is now introducing it to its four resorts in the Maldives. Before you reach for your wallet, perhaps it might be the time to tell you what makes it so expensive. For starters, there are only 50 kilos available for sale. That’s largely because of the process the coffee beans go through before they reach your table. It begins with selecting the best Thai Arabica beans that have been picked from an altitude of 1,500 metres. The beans are fed to elephants, who digest and later deposit them. The individual beans are then handpicked by mahouts (elephant trainer and carer) and their wives and sundried. Approximately 10,000 beans are picked to produce one kilogramme of roasted coffee; 33 kilos of coffee cherries are required to produce one kilo of Black Ivory Coffee. Research indicates that during digestion, the elephant’s enzymes break down coffee protein. Since protein is one of the main factors responsible for bitterness in coffee, and less protein means almost no bitterness. 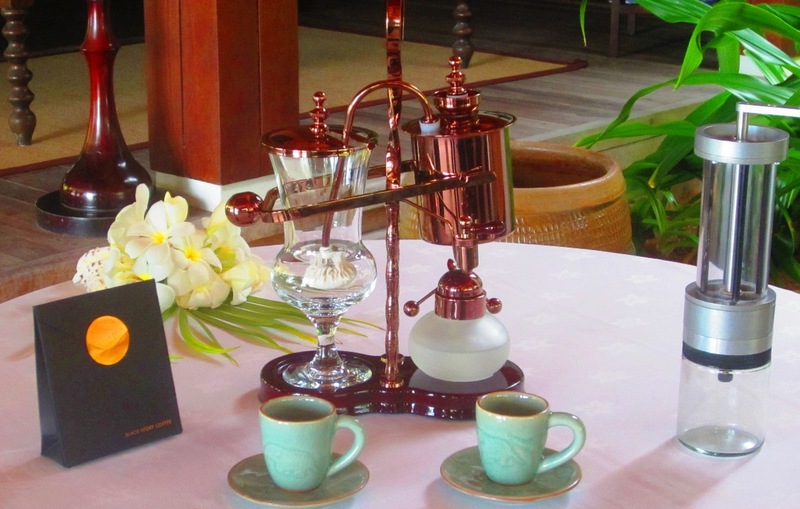 Refinement of the coffee takes place at Anantara’s own foundation the Golden Triangle Asian Elephant Foundation (GTAEF) in Thailand. The foundation, set in the grounds of Anantara Golden Triangle has rescued 30 street elephants along with their mahouts and families to date. Eight per cent of all coffee sales will be donated to GTAEF to help fund a specialist elephant veterinarian to provide free care to the elephants and additional funds will also be used to purchase medicine as well as to build a new laboratory. In order to demonstrate freshness and to enhance diners’ senses, the coffee is ground by hand at the table and brewed using technology developed in 1840 in Austria. This balancing syphon is not only a beautiful machine but also widely recognized as the best way to brew coffee. The consistent 93° Celsius temperature and contact time between water and bean result in a very clean and flavourful taste. The brewing process takes about four minutes. Anantara is part of the Global Hotel Alliance (GHA) – the world’s largest independent hotel brands. Other members include: Doyle Collection, First, Kempinski, Leela, Lungarno Collection, Marco Polo, Mirvac, Mokara, Omni, Pan Pacific, PARKROYAL, Shaza and Tivoli. CENTARA GRAND MIRAGE BEACH RESORT PATTAYA has won five awards in the Pattaya Hospitality Art Competition, held during the Pattaya Food & Hoteliers Expo 12. The event consisted of various activities for the hospitality industry aimed at raising standards of service in food and beverage, flower arrangement, spa and housekeeping. Spa Cenvaree at Centara Grand Mirage Beach Resort Pattaya emerged as the over-all champion by winning five trophies, namely the Gold medal for Thai Massage, and Silver medals for Swedish Massage, Signature Spa Beverage, Spa Display and Flower Floating. The competition was judged by hospitality industry professionals. Located on the ground floor of the resort, Spa Cenvaree offers a full-service menu that goes beyond the usual trappings of a city spa. Each spa journey is designed to deliver results and rejuvenation through a personal approach, which takes into account all aspects of the individual’s current health, fitness level and lifestyles. Its extensive facilities include 22 treatment rooms, Vichy showers, herbal steam rooms, sauna, yoga and meditation pavilion, as well as relaxation lounge complete with freshly brewed herbal team and healthy snacks for guests. is located on Wong Amat Beach in North Pattaya, and is the first truly themed hotel in Thailand, designed to a Lost World concept and built around an extensive jungled water park. The 18-storey property features 555 rooms and suites, all facing the ocean and has direct beach access to the stretch of 230 meters of white sand beach frontage. The resort, which has become a destination in its own right, offers several specialty restaurants, a SPA Cenvaree, and a variety of facilities for all members of the family, including several swimming pools and water play areas in the water park. PARTY THE NIGHT OUT as VIE Hotel Bangkok celebrates Halloween on Oct. 31.The night kicks off with a big screen showing of The Others, a Golden Globe-nominated film starring Nicole Kidman at 6.30, followed at 9 when DJ August from Slim RCA gets the party rolling. The party features a number of special free-flowing promotions, including all you can drink beer (THB 420) or wine (THB 650) or unlimited mocktails (THB 150) like Chilling Silent Hill, Bloody Sweat and Dark Forest. VIE bar opens nightly at 5. For more information or reservations, call 66-2309-3939 or email info@viehotelbangkok.com. CENTARA HOTELS & RESORTS is rebranding three existing spas under its new Cense by Spa Cenvaree brand, which is now being rolled out at selected properties. Rebranding of the spas at two of the properties, Centara Hotel Hat Yai, and Away Suansawan Chiang Mai, which is part of the Centara Boutique Collection, has already been completed, while the third, at Centra Coconut Beach Resort Samui, will be completed by the end of November 2012. Cense by Spa Cenvaree was launched earlier this year as a spa concept that focuses on essential treatments for guests who do not require full spa facilities. “We are very excited to be moving into the operational stage of Cense by Spa Cenvaree,” says Elaine Chua, group director of spa operations at Centara Hotels & Resorts. Cense by Spa Cenvaree at Centara Hotel Hat Yai features seven treatment rooms, while that at Away Suansawan Chiang Mai, Centara Boutique Collection has six treatment rooms, a herbal steam room, Jacuzzi and sauna. The spa at Centra Coconut Beach Samui, which has only recently come under Centara management, will feature two couple rooms, a Thai massage room, and a foot massage pavilion. All three feature the Cense by Spa Cenvaree core menu of spa treatments, which offers a selection of body massages, body scrubs and facial therapies, ranging in duration from 45 to 90 minutes, together with a choice of packages that combine treatments and which are a maximum of 120 minutes in duration. Elaine says that Centara is now in the process of preparing the next three Cense by Spa Cenvaree spas, with Centara Hotel & Convention Centre Khon Kaen due to open later this year, and Centara Watergate Pavilion Hotel Bangkok and Centra Central Station Bangkok in 2013. 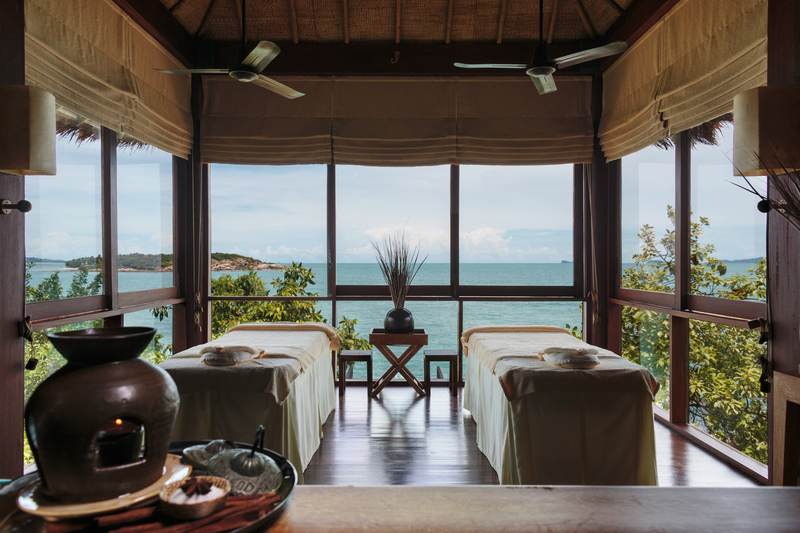 SIX SENSES SPA AT SIX SENSES SAMUI, a SALA property, and four other Six Senses spas were awarded top honours in the Condé Nast Readers Travel Awards. The awards were announced in the magazine’s October 2012 issue. The gala event to announce the winners of the Condé Nast 15th annual Reader’s Travel Awards was held at the British Museum in London, attended by more than 300 leading travel players from around the world. Six Senses Spa at Six Senses Samui, and Six Senses Spa at Soneva Fushi, Maldives and Six Senses Spa at Porto Elounda, Crete were named in the top 20 Overseas Hotel Spas list. Six Senses Spa in Zighy Bay, Oman and Six Senses Ninh Van Bay, Vietnam were also singled out for top awards by Condé Nast. CENTARA VILLAS PHUKET has been named by TripAdvisor as one of the top 25 relaxation and spa hotels in Thailand in the website’s Travellers’ Choice 2012 awards. The rankings are compiled from ratings supplied by guests and travelers. 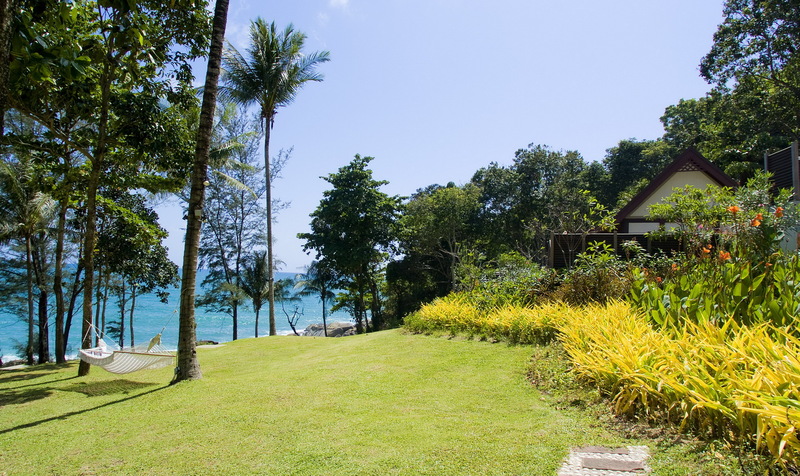 Centara Villas Phuket is set on a small incline in a quiet part of Karon, with steps leading directly down to the beach, and with 72 spacious Thai-style villas, presents a getaway venue in a popular tourism destination. “The atmosphere at the resort is a tranquil one, and our Spa Cenvaree utilizes this serene setting,” says Elaine Chua, corporate director of spa operations at Centara Hotels & Resorts. “We are happy and proud that our guests have found their visits here to be so relaxing, and that their ratings have resulted in this prestigious award.” Spa Cenvaree at Centara Villas Phuket overlooks the Andaman Sea and has five treatment rooms, each designed with natural stone and teakwood. 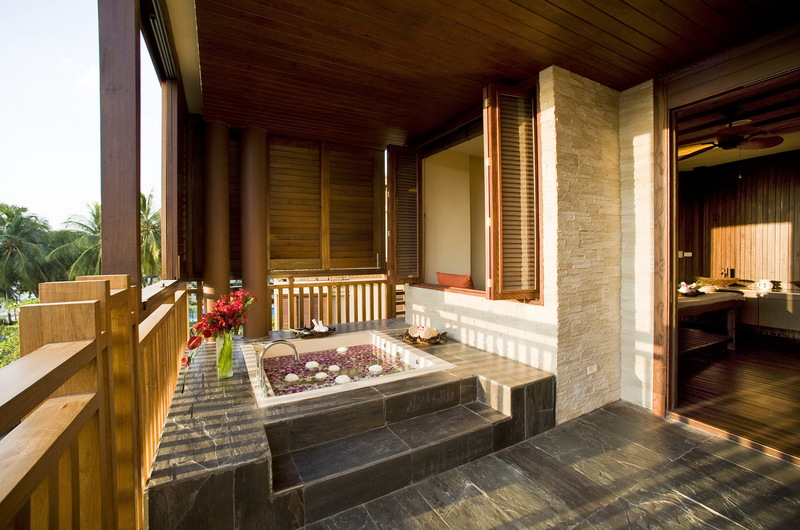 Couple rooms are connected to outdoor Jacuzzi facilities that provide a steam shower. In addition to the therapy rooms, there is an open-air massage pavilion, a manicure & pedicure suite, an outdoor foot massage pavilion, and outdoor relaxation lounges. Signature treatments include the Thai Harmony Four Hands Massage, the Salt Pot Experience, Ayurveda therapies and balancing programs, and Jurlique Anti-Aging facials. Centara Hotels & Resorts is Thailand’s leading operator of hotels, with 38 deluxe and first-class properties covering all the major tourist destinations in the kingdom. A further 17 resorts in the Maldives, Vietnam, Bali Indonesia, Sri Lanka and Mauritius Indian Ocean, brings the present total to 55 properties. Centara Hotels & Resorts also operates two state-of-the-art convention centres in Bangkok, and two located in Udon Thani and Khon Kaen. ANUCHA SUPHAN has been appointed director of sales of Centara Grand Beach Resort & Villas Hua Hin, a member of the Leading Hotels of the World. 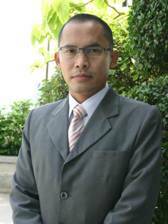 Anucha has more than 15 years experience in sales at many leading hotels in Thailand. He started his career at Marriott Hotels & Resorts and worked there for seven years. He was sales manager before moving to work at Centara Hotels & Resorts in 2004 as Senior Sales Manager. 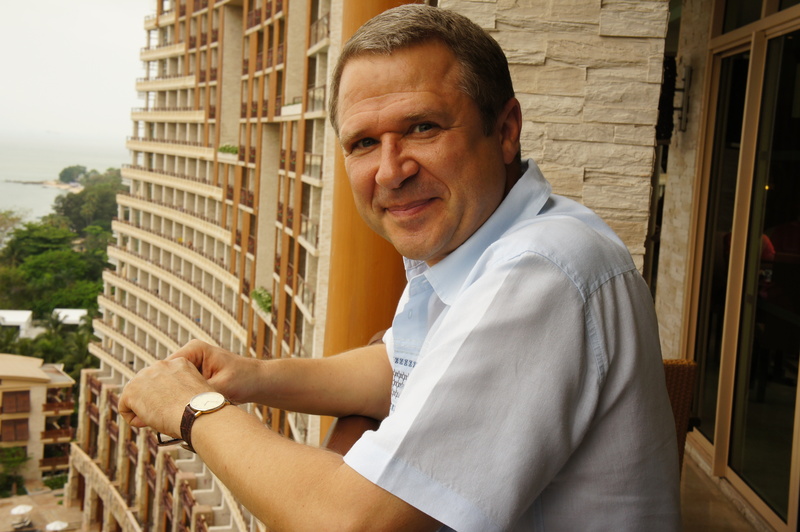 At Centara, he was responsible for many properties, including Centara Grand Beach Resort Samui, Centara Villas Phuket, Centara Villas Samui, and Waterfront Suites Phuket by Centara. Subsequently he was Director of Sales at Eastin Hotel Makksan in 2007.Before being appointed to his latest p[ost, Anucha he was assistant sales director responsible for travel agencies both locally and internationally, covering the Middle East, South Africa and India markets. Centara Grand Beach Resort & Villas Hua Hin is one of the Classic Hotels of the East, constructed in 1923 and sensitively upgraded to retain its old-world charm. The resort has 207 luxurious rooms and suites, including the Club executive floor, each with its own private balcony overlooking the ocean or landscaped gardens. High ceilings, period-style furniture and a décor that uses rich polished hardwood softened byThai silk evoke the spirit of the 1920s. 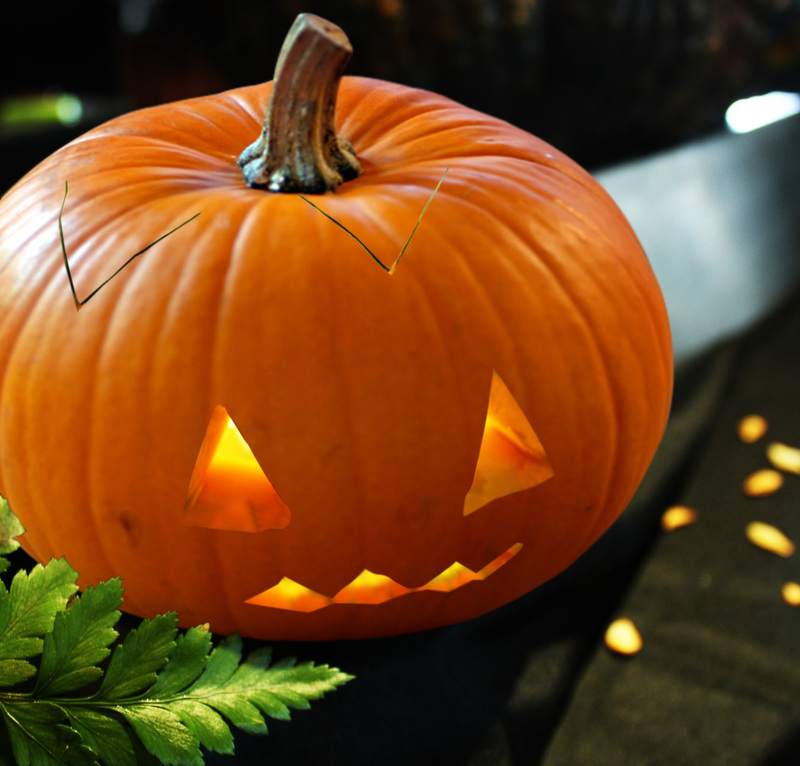 VIE HOTEL BANGKOK brings you its own version of the Jack-o-lantern featuring pumpkin in it buffet dinner, its high tea afternoon ritual and a new arrival, the lavish Pumpkin Scrub at its spa throughout the month of October. VIE Wine & Grill: Its Dinner Buffet is highlighted with pumpkin dishes, including grilled pumpkin salad with Balsamic glazed cherry tomato, toasted pumpkin with rocket and feta cheese, pumpkin risotto with wild mushroom, gnocchi pumpkin as well as creative delicious dishes like Tunisian Pumpkin and Yogurt Cream Soup plus pumpkin gratin and much more. VIE Wine and Grill is located on the 11th floor. Dinner: Monday to Saturday costs THB 850 per person. Special October treat: Three for the price of two. High Tea with pumpkin desserts will be featured at the VIE Bar throughout the month, including the classic pumpkin pie, pumpkin cheese cake, pumpkin yogurt mousse, pumpkin orange peel butter cake, pumpkin crème brulée, as well as the scrumptious and crumbly pumpkin crumble. VIE Lounge is located on the ground floor. VIE Spa is featuring a “Lighten & Pump-up” spa package with an all natural pumpkin scrub that helps micro-exfoliate aged cells, rejuvenating your complexion and allowing fresher, younger looking skin to shine through. The package costs THB1,500 and includes a complimentary MGallery Candle Collection to aromatize your room with a selected white tea scent. VIE Spa is located on the 10th floor. For reservations and information, call 66 (0) 2309 3939 or email info@viehotelbangkok.com. VIE Hotel Bangkok, a member of MGallery by ACCOR, is a chic design hotel, conveniently located in the heart of the city. 154 rooms including duplex and spacious suites. It’s just steps away from the BTS SkyTrain Ratchathewi station and walking distance to shopping malls such as luxury Siam Paragon, wholesale Platinum and vast MBK. It was named Best Boutique Hotel, Thailand’s Best Restaurant and Trendy Hotel in Asia and Best Urban Hotel for three years running.